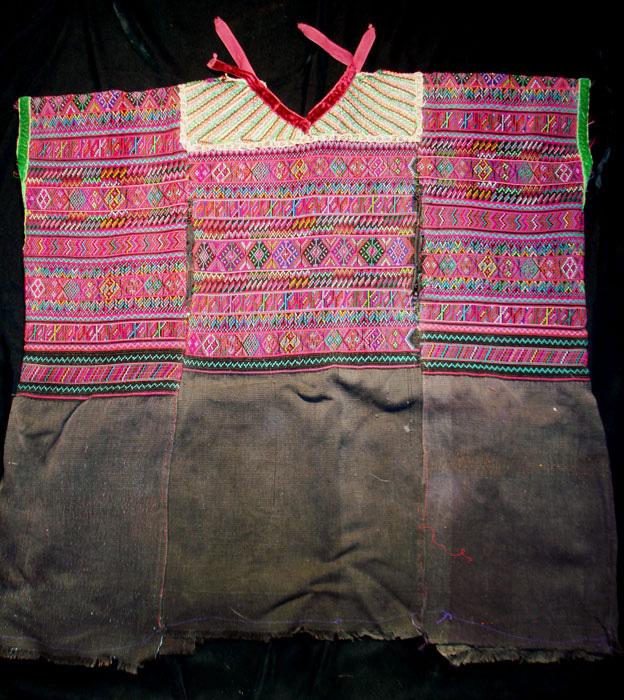 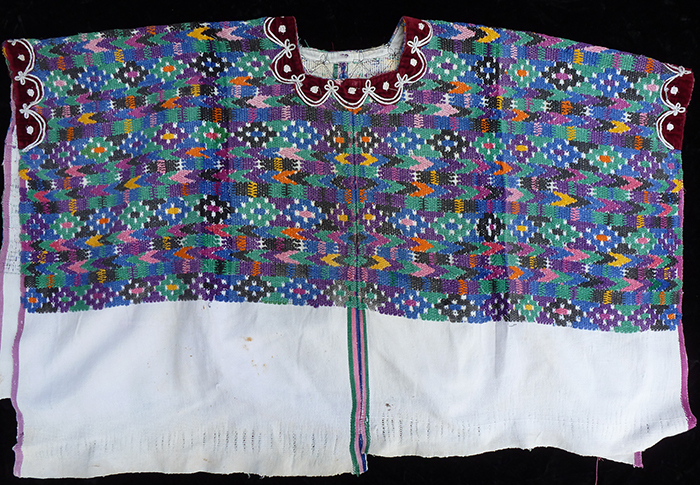 One of a kind, Vintage Huipiles from Guatemala. 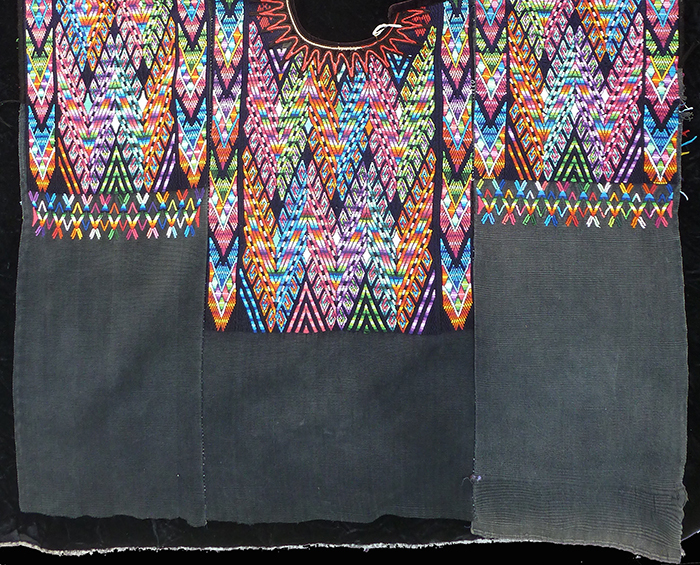 Exceptional, as can only be found at San Angel. 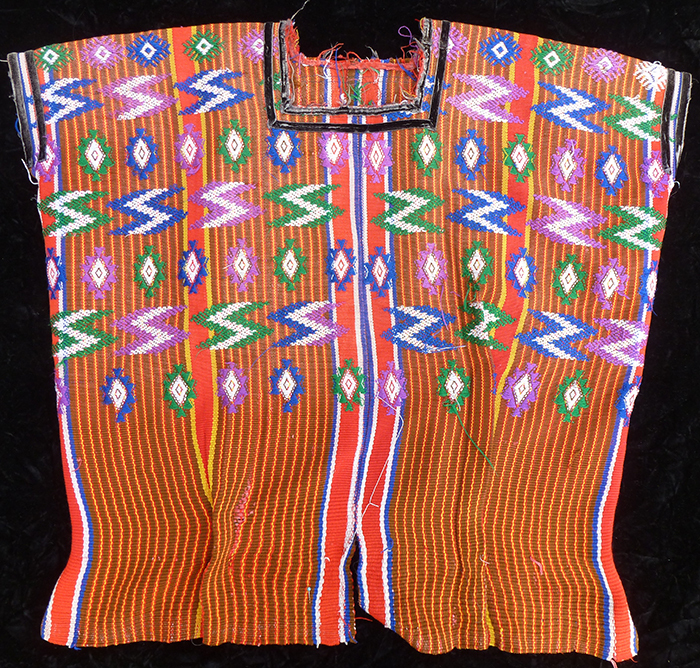 Ceremonial huipil from Chichicastenango, Guatemala. 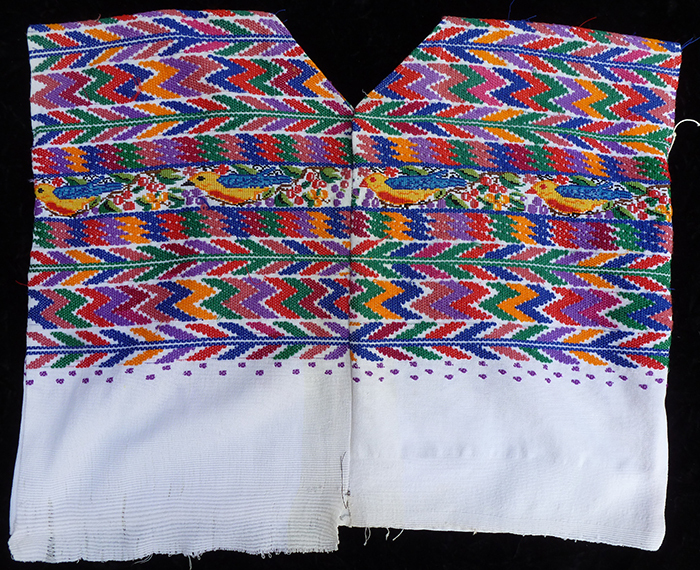 Vintage ceremonial huipil from Chichicastenango, Guatamala. 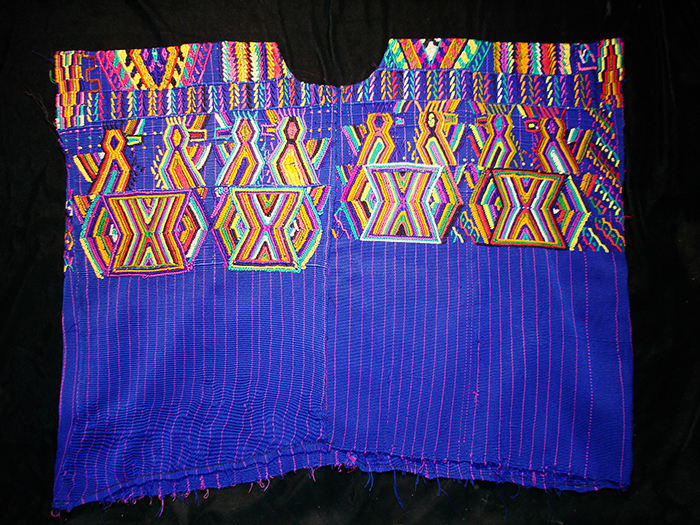 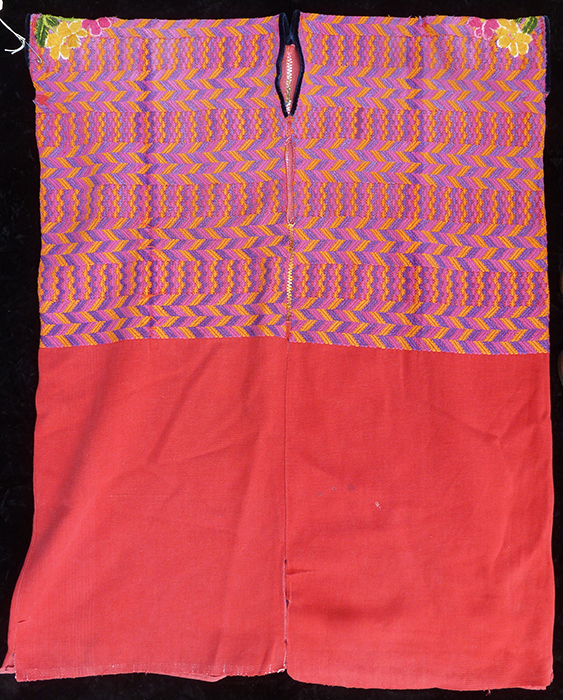 Hand woven on back strap loom. 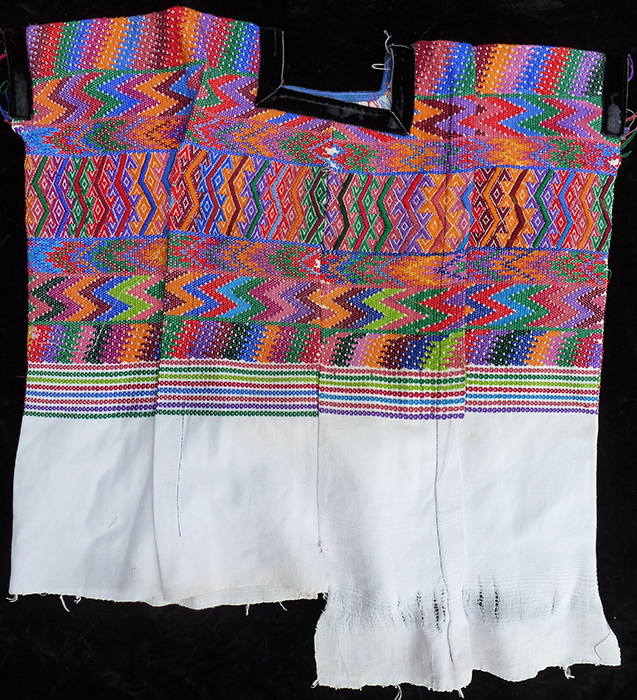 Colorful weft-brocade weaving from Panajachel, Guatemala. 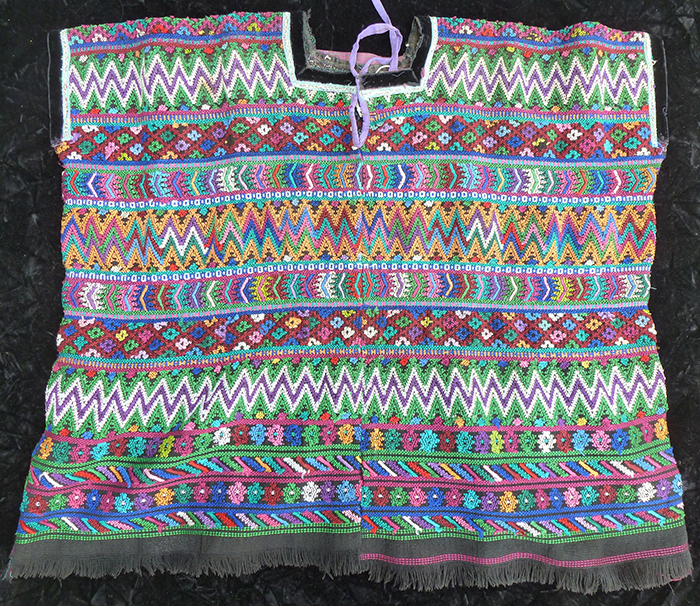 This is a vintage huipil from San Antonio de Aguas Calientes, Guatemala with brocade birds done on a back strap loom. 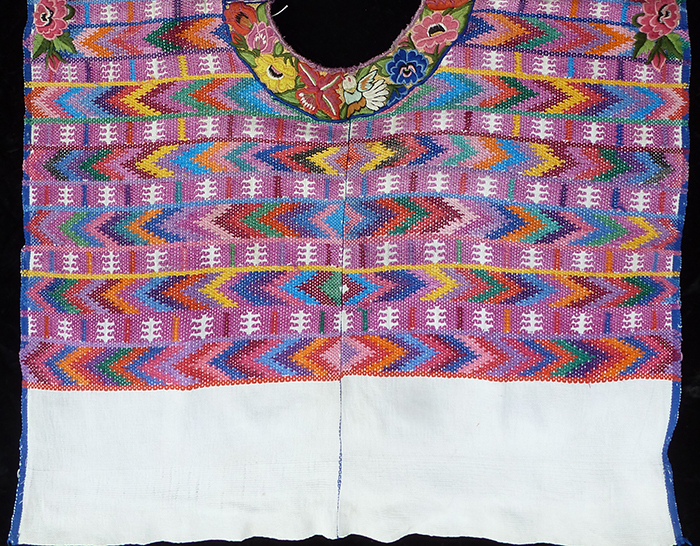 Multi-colored Embroidered Huipil with Black Velvet Neck and Arms from San Antonio de Aguas Calientes, Guatamala.